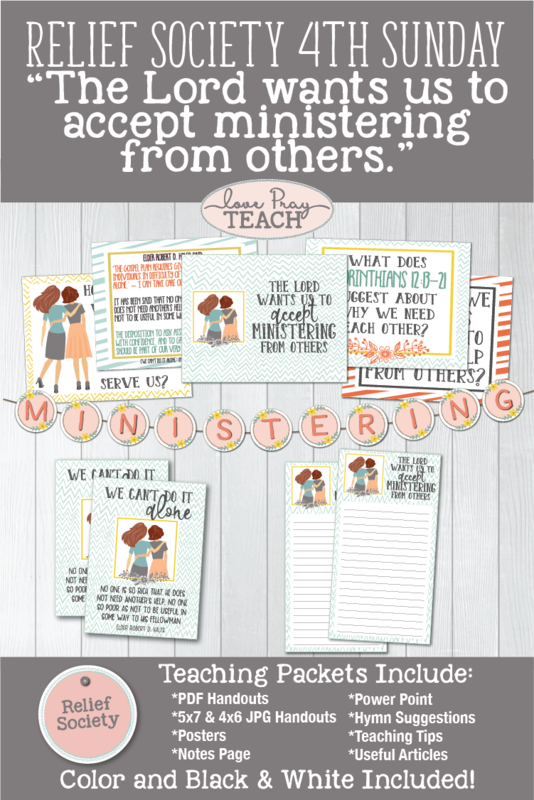 You are here: Home » Relief Society » 2018 Relief Society 4th Sunday Lesson Packets "Ministering Unto Others"
Members: Click on a lesson below to access the lesson packets. 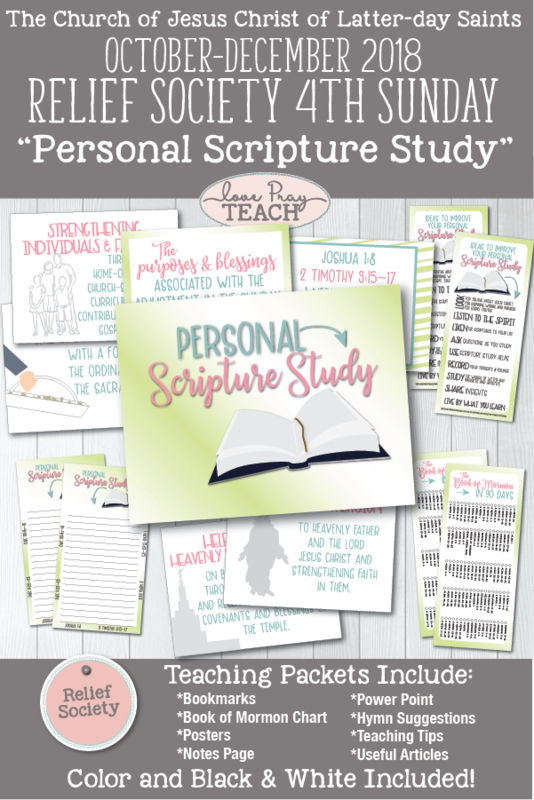 The new (Oct - Dec 2018) 4th Sunday Meetings page on LDS.org are now "PERSONAL AND FAMILY SCRIPTURE STUDY." 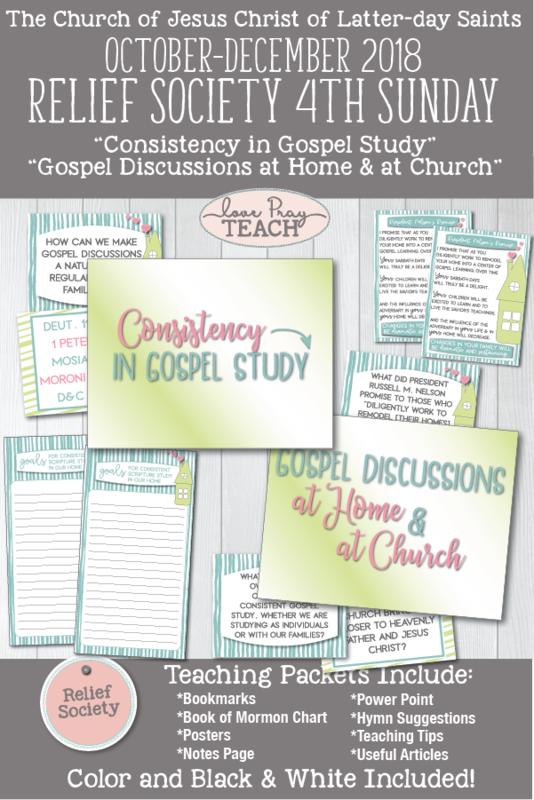 I have combined "Consistency in Gospel Study" and "Gospel Discussion at Home and at Church" into one packet. 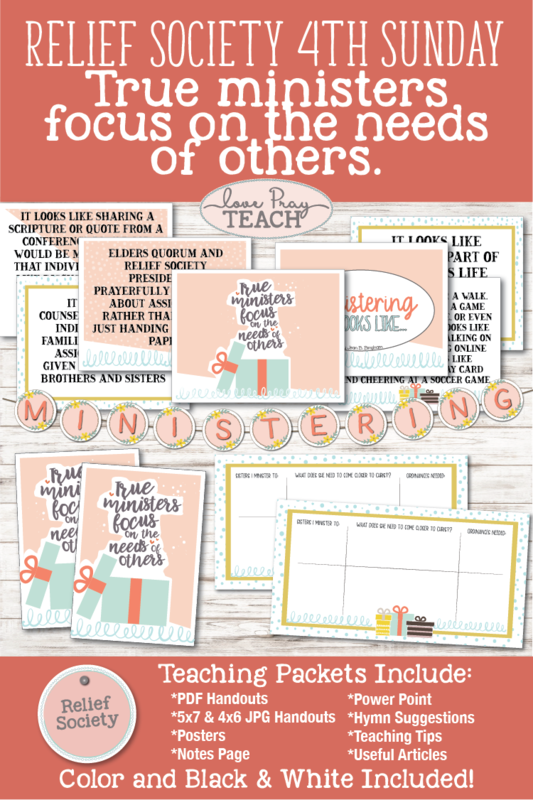 The 4th Sunday in December is on the 23rd and we are only having Sacrament Meeting that day. 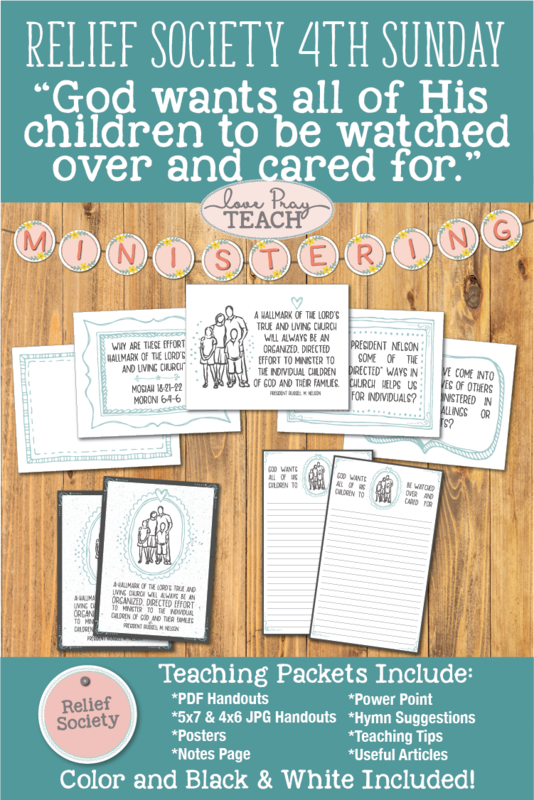 The two topics flow nicely together and will make a great lesson! 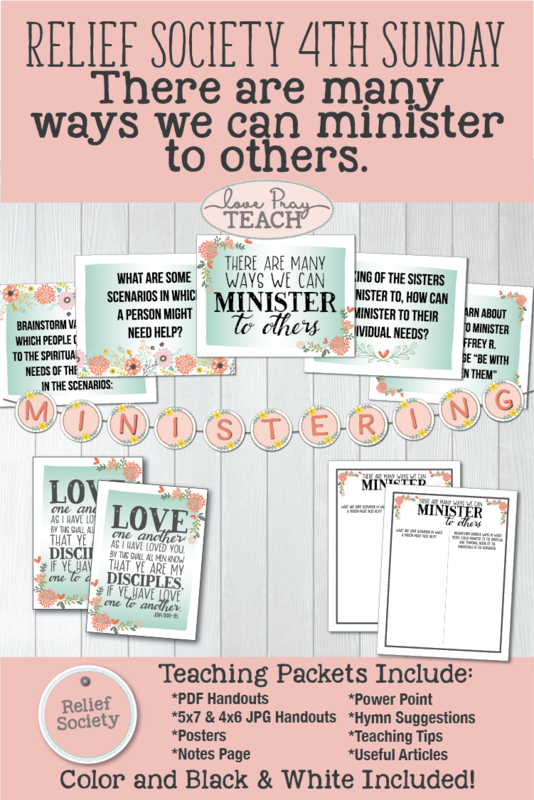 Our Relief Society Membership gives you access to all the 4th Sunday lesson packets plus the monthly newsletter/calendar templates and an extra printable each month for only $5/month! 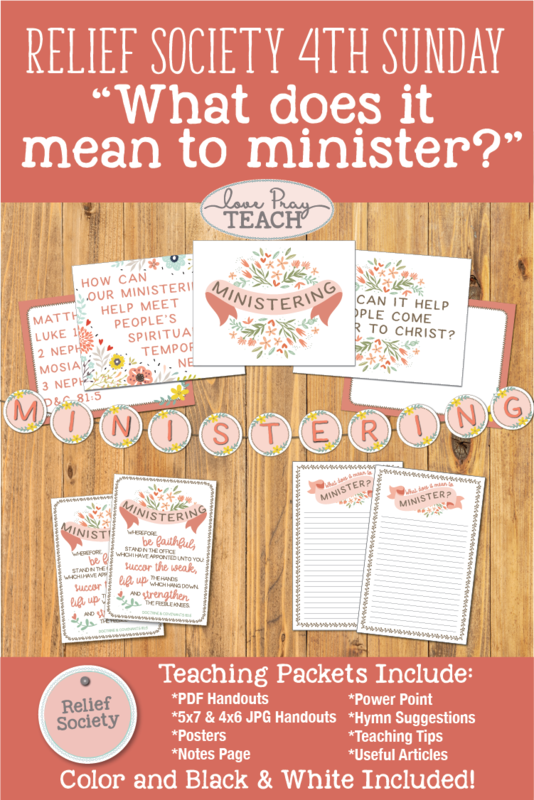 We also sell individual lesson packets in our store! 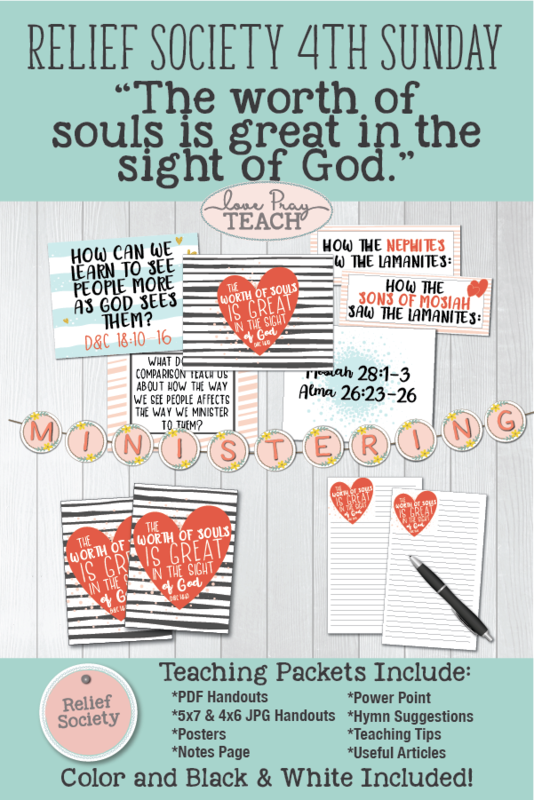 You can view the 4th Sunday Lesson Packets by clicking here. 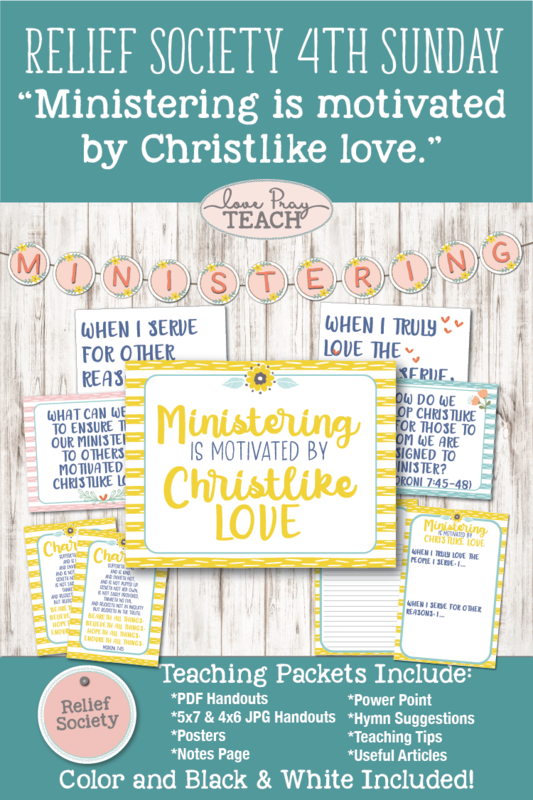 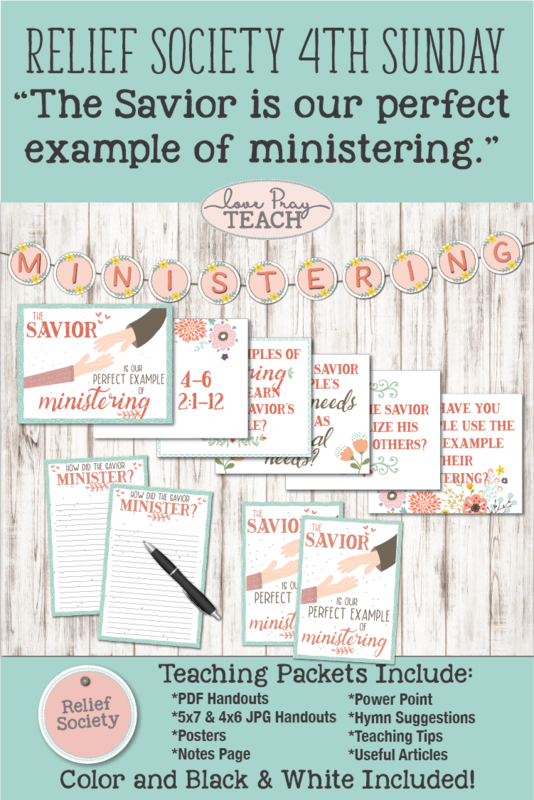 Relief Society 4th Sunday Teaching Packet October-December 2018 "Consistency in Gospel Study" and "Gospel Discussions at Home and at Church"
Relief Society Fourth Sunday "Ministering is motivated by Christlike love."